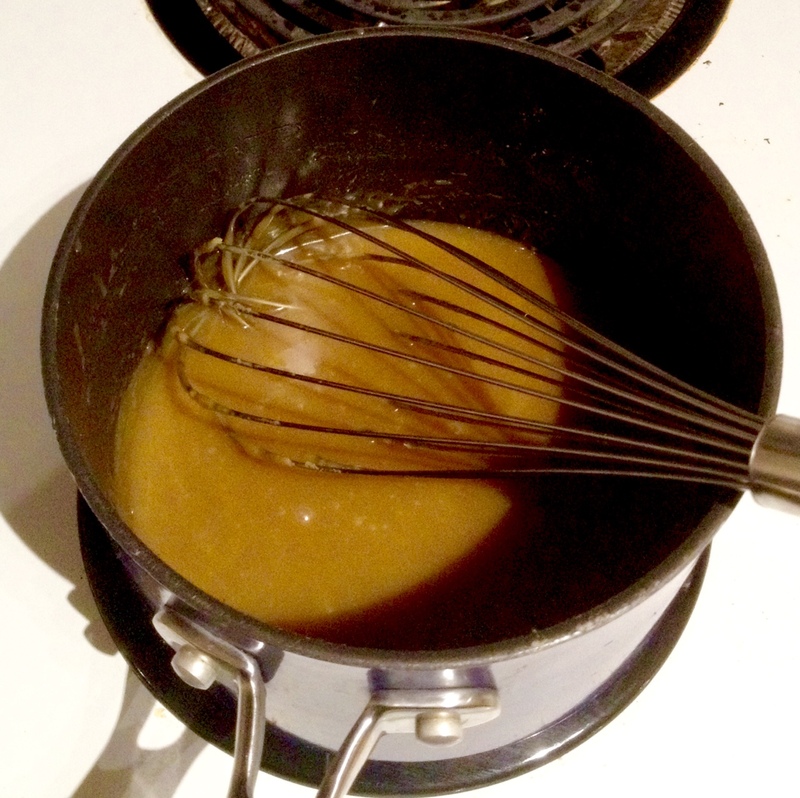 I recently needed caramel sauce for a cake and decided it was time to try my hand at a homemade one. You can find some great store-bought caramel sauce but I knew that homemade would take this particular cake over the top. I also knew that I was a little apprehensive of making my own. I’m scared of candy thermometers. I did some searching for the easiest homemade caramel sauce recipe I could find, no thermometers required and finally settled on this one. As you can see, this recipe is super simple and it truly does make the most delicious, buttery sauce. I stole so many spoonful’s that I’m truly surprised any of it ended up in the cake it was intended for. I really think this recipe is impossible to screw up and I thought I’d pass it along in case any of you have the same anxiety I do. Once you try this you’ll never buy caramel sauce in a squeeze tube again. Mix all ingredients in a medium saucepan. Bring just to a boil and then turn down to medium-low heat, whisking gently for 5 to 7 minutes, until a thicker sauce forms. Remove from heat. Serve warm or store in the refrigerator. It’s so easy, I promise.